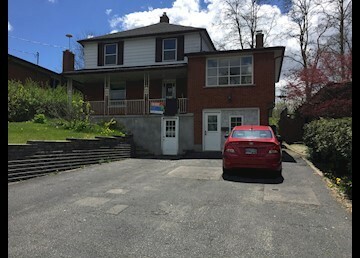 K-W Property Management Corp Presents: Located at 31 Amherst Drive, Kitchener, 2 ROOMS AVAILABLE FOR May 1 2019! Live less than 5 minutes from Conestoga College Doon Campus! This home offers an ALL INCLUSIVE deal (utilities included), internet and laundry is also included in lease price. 2 student bedroom available 1 kitchen with fridge, stove, and microwave 2 full bathroom Central air Unlimited wi-fi included Big back yard which is great for the summer Multi-car parking- 4-6 cars 2 Entrances Laundry on site 2 common areas *No Smoking Permitted * *No Pets Allowed* $550 Within walking distance to main campus, McDonald's & Tim Horton Available May 1st! K-W Property Management Corp www.kwproperty.com To book appointment check our online calendar for upcoming showings http://kwproperty.com/calendar.asp If you do not find a suitable showing time please email us your availability and we will book you a time to see the unit.